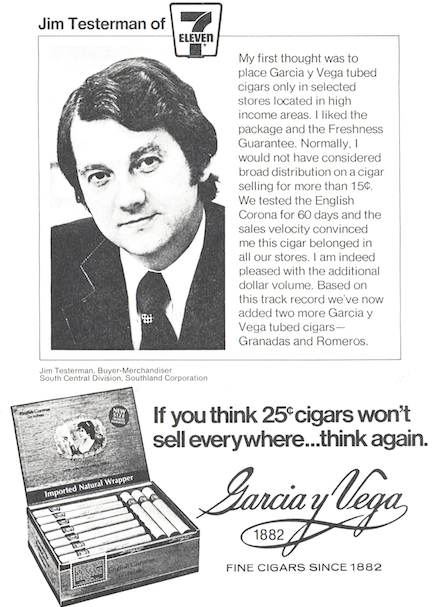 Convenience Marketing was founded in 1974 by the late Don Fisher in Houston, Texas. Don was one of the very first to recognize the need for, and see the opportunity to serve this specialized segment of the retail world; to start a brokerage firm with the specific goal of marketing to the convenience industry. When Don first met Jim Testerman in 1969, Jim was already a veteran of the food business with a long list of accomplishments. He served as buyer for Affiliated Foods in Dallas for ten years and became a Buyer and Merchandise Manager for 7-Eleven Food Stores (the Southland Corporation), in the Texas and New Mexico divisions. The future relationship between Don & Jim would be based on good business and a strong friendship, and not always in that order. In 1980, and after careful consideration, Jim decided to join the company and team up with Don. However, Don had ambitions to relocate to his hometown of Memphis and soon after the partnership was formed, Jim took over sole ownership and operations of the company and soon incorporated and renamed the company; Convenience Marketing Services, marking a new beginning for the firm. Although the industry went through good and bad times in the 80’s, Jim managed to keep things moving ahead through the decade. In 1994, Jim’s son, Greg Testerman (30) joined the company. Greg was in his twelfth year, selling building materials for a Louisiana based company but welcomed the opportunity to join CMS. With a fresh start and a bright future ahead, Jim & Greg hit the highways and never looked back. They kept their goals simple and realistic, practicing high standards and solid ethics. They believed in the power of a handshake, hard work, and follow through. The company was now in a better position and continued to grow. By the end of the 90’s, CMS was growing, winning awards, and needing to expand to accommodate new business. They opened a new territory in Lubbock, to better serve the West Texas and New Mexico markets. Mickey Davis, an experienced salesmen and resident of the area, was hired to run the territory. For ten years, Mickey played an important role in the growth and development of the company. By 2005, they opened offices in Dallas and San Antonio to maximize efficiencies in these key areas. They also developed a winning team in the main office to support all sales efforts. Jim and Greg soon opened relationships and formed associations with other similar brokerage firms in other states, providing profitable, marketing solutions for our manufacturers, our associates, and our selves. CMS was now selling products in seven states. In 2010, Greg became President and still works with his father today. Jim, although semi-retired still plays an important role in finance and company leadership. The Testerman family places great value in our friendships and the partnerships that have developed over time. We plan to use our history and experiences to guide our future and will continue to change with the times as necessary to place our partners and ourselves in the best possible position for long term success. 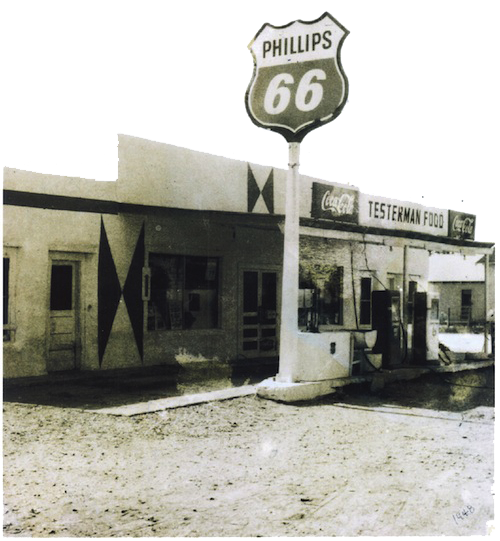 In 1934, Jim’s father – Otis Testerman, opened his first general store in the West Texas town of Friendship and remained a merchant his entire life. Together, Otis and wife Alma, ran the Friendship Store which served a small farming community and also served as the family home for a while. The store offered general merchandise, food, basic farming supplies, feed, block ice, and gasoline. Otis went on to open stores in other West Texas towns over time – farming areas such as Bula, Fieldton, and Littlefield. As a child, Jim and his brother Buddy grew up working in and around these stores. Each of these locations carried inventories to support the needs of the surrounding areas depending on the well being of the farming industry for their livelihood and all the while, chasing the American dream. In 1960, the family purchased a home in Littlefield where Otis opened his final store. He named it Crescent Food Mart and operated the store for over 20 years. They worked hard but earned a reasonable living, sufficient to keep food on the table, provide a good home, a good life, and a quality education for their Children. Otis passed away in 1988 but he achieved success in life by finding a niche and serving it which has strong similarities to what we do today at CMS.